Michel Montecrossa’s ‘Michel & Bob Dylan Fest 2011′ is taking place on May, 21. 2011 at the Hotel & Event-Location ‘Omnidiet’ (Mirapuri-Coiromonte, near the Lake Maggiore). It will be a purely acoustic concert featuring Michel Montecrossa and his band The Chosen Few playing original songs and songs by Bob Dylan. The concert under the title ‘Something That Counts’ will begin at 10 p.m. – free entry. 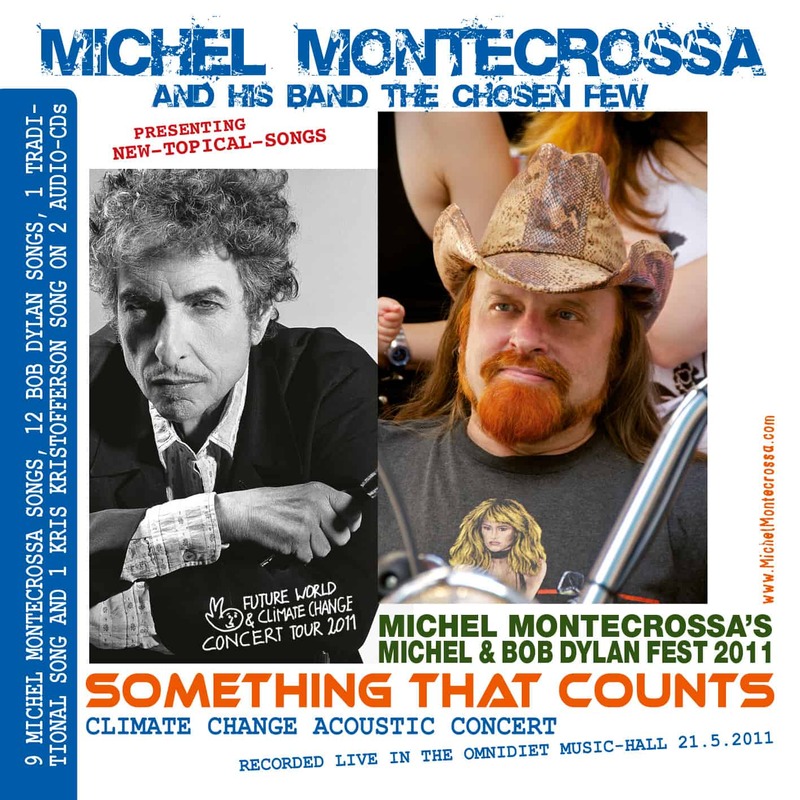 Upcoming event: Michel Montecrossa’s ‘Michel & Bob Dylan Fest 2011’ taking place on May, 21. 2011 at the Hotel & Event-Location ‘Omnidiet’ (Mirapuri-Coiromonte, near the Lake Maggiore). It will be a purely acoustic concert featuring Michel Montecrossa and his band The Chosen Few playing original songs and songs by Bob Dylan. The concert under the title ‘Something That Counts’ will begin at 10 p.m. – free entry. Michel Montecrossa (www.MichelMontecrossa.com) and his band the Chosen Few this year bring to the Spirit of Woodstock Festival in Mirapuri the brand new songs of their ‘Future World & Climate Change Concert Tour 2011’. The Spirit of Woodstock Festival in Mirapuri (Italy) is the greatest European Festival of the Free Music Revolution offering free entry and 10 days of live-concerts by international bands. What: 10 days of free live-concerts by Michel Montecrossa and international bands, free camping, Mirapuri’s One and Only Original Bavarian Oktoberfest in Italy, Mirapuri Rainbow Gathering, etc. Michel Montecrossa (www.MichelMontecrossa.com) und seine Band The Chosen Few bringen dieses Jahr die Songs ihrer ‘Future World & Climate Change Concert Tour 2011’ mit aufs Spirit of Woodstock Festival in Mirapuri. Das Spirit of Woodstock Festival in Mirapuri (Italien) ist das größte Europäische Festival der Free Music Revolution mit freiem Eintritt und 10 Tagen Live-Konzerten von Michel Montecrossa und internationalen Bands. Was: 10 Tage Live-Konzerte von Michel Montecrossa und internationalen Bands, Eintritt frei, umsonst zelten, Mirapuri’s Original Bayerisches Oktoberfest in Italien, Mirapuri Rainbow Gathering, etc.